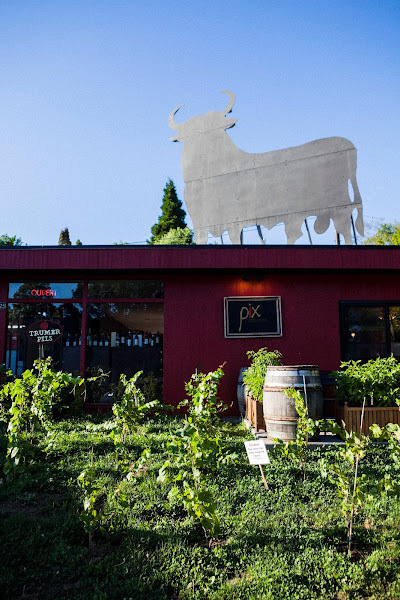 I've been meaning to write this review for some time now as Pix Patisserie is one of the local Portland restaurants that I have a long standing relationship with. I first started frequenting the pastry shop back in 2007, when I was a junior in college. Back then, Pix was just an intimate, tucked away storefront on SE 34th and Division filled with quaint French posters and a beautiful, red-tiled bar. It was one of my favorite late-night places to escape from the stresses of school by indulging myself in one of Pix's beautiful, ornate pastries. In 2012, however, Pix decided to close their southeast location and transfer to a significantly larger location on east Burnside. At that point, they had two very successful locations in both the Southeast Division and the Northeast Williams streets of Portland. Both venues were charmingly intimate and beloved by their local neighborhoods. Don't let my pretty picture fool you! 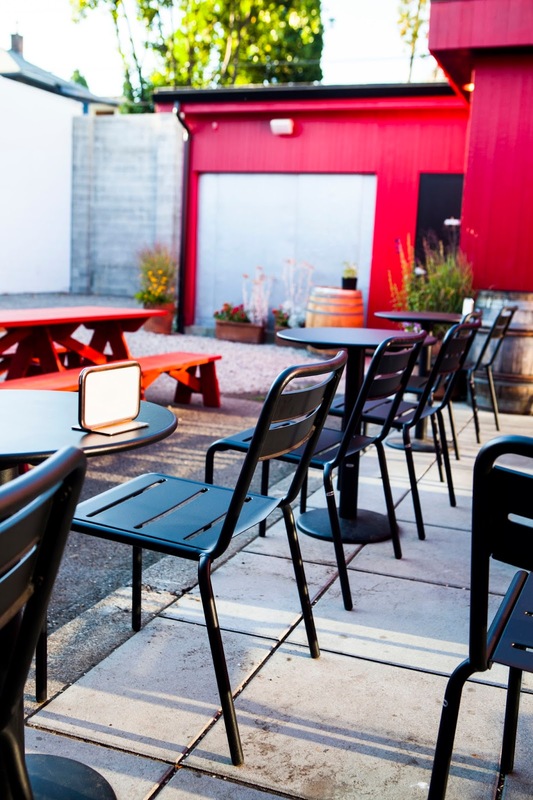 Those cafe chairs and picnic tables are in a courtyard devoid of any greenery and are fenced in by a whole lot of gravel, concrete, and cement. It's one of the most uninviting restaurant patios I've ever been to, with its derelict view of garages and metal fencing. I'm pretty sure that the only reason why that courtyard gets any use in the first place is because a) us Portlanders are so desperate for vitamin D, we'll sit outside anywhere when the weather's nice out and b) the inside of the restaurant is a terribly confusing place. 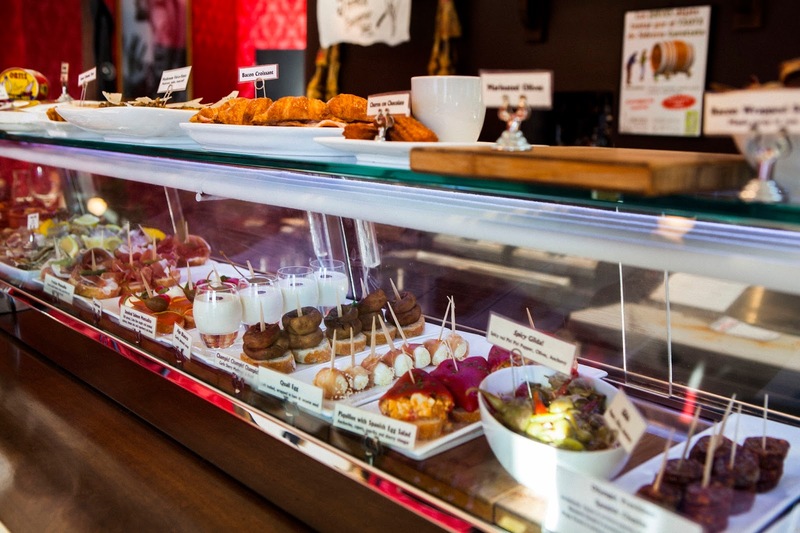 So what this means is that a dessert shop and a tapas bar — two completely different concepts that are kinda at odds with one another — essentially share the same space. If you're a first time goer, you really have no idea what's going on. 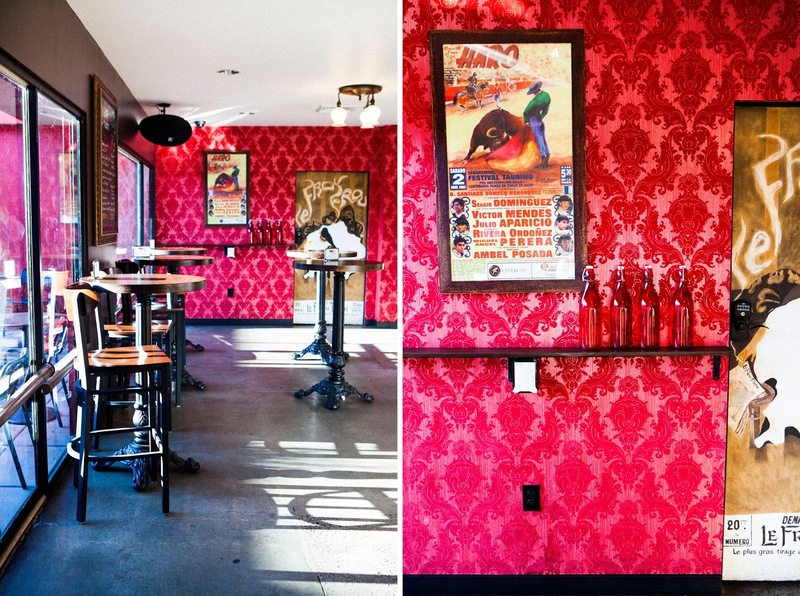 Because at one side of the restaurant, you'll see standing tables and savory tapas that you order at the bar. And at the other, you'll see the famed desserts and table service. 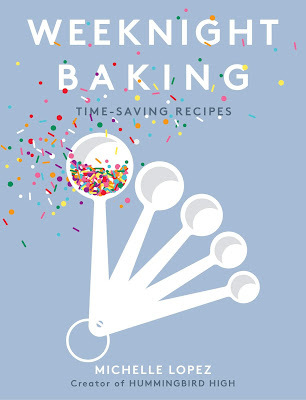 Off the bat, it's unclear what you do — do you order dessert from a waiter at a table, or do you order up at the pastry case? What about the savory stuff? Can you order that from the waiter too? And the answer is not exactly intuitive: for tapas? Standup and order at the bar. Be sure to throw your napkin on the floor too, because that's how they do it in Spain, apparently. But for dessert orders, head up to the case, pick your pastry (and remember which one you want lest you need to stand in that long line to view the pastries again), sit down, and tell your waiter during table service. Unless you're getting it to go, in which you're in the weird no man's land and good luck getting anybody's attention to help you out. It's certainly intimidating, and the staff simply isn't friendly enough to help you figure it out. As somebody who frequents the place on an almost weekly basis, I can tell you with confidence that the service here is rude and incredibly slow. At best, it takes about 5 to 10 minutes to attract the attention of the waitstaff. At worst, I've had the lady working the dessert counter directly ignore me and serve the people who were in line behind me ahead of me. That's what I get for wearing sweats to a fancy restaurant, I suppose. So all of which begs the question... why do I still keep going to Pix?!? 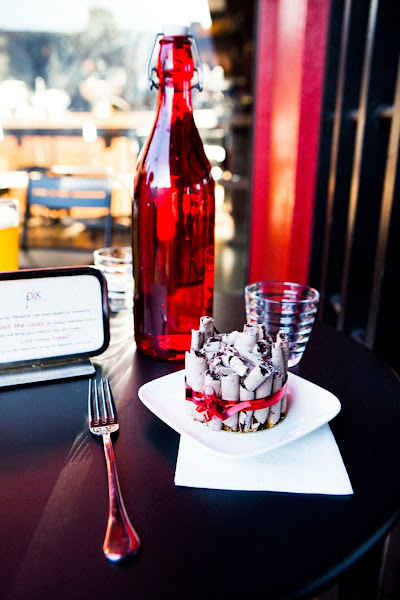 There's really nowhere else in Portland where I can get a patisserie dessert like the one you see in the picture above. 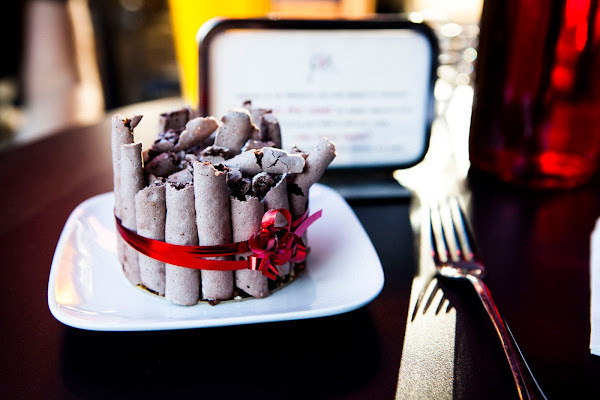 In the above picture is the Concord, one of my all time favorite desserts in town: a creamy, dreamy chocolate mousse topped with rich chocolate ganache, hidden by sticks of featherweight meringue logs, all tied together by a red ribbon. I'm also partial to the Amelie (a glazed chocolate mousse with hazelnuts and praline crisp topped with orange vanilla crème brûlée) and the Dobos Torte (cake with hazelnut buttercream, chocolate ganache, and marzipan), though admittedly I haven't seen the Dobos Torte in their selection for some time now. Oh yeah, that's another thing. Since moving to their new location, I've noticed a lack of variety among the dessert and macaron flavors they offer. Ordinarily, they have a menu of around 24 desserts, with 8-10 desserts available at each time. Different desserts are rotated in and out, depending on the season. But since moving to the new place, it seems like they've stuck to a more regular menu, with the same desserts appearing again and again. 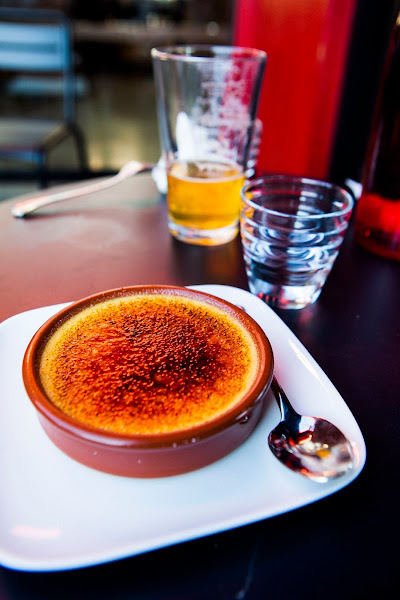 I imagine this has to do with the addition of their tapas (er, Bar Vivant, right) — more stuff to worry about, less time to focus on the desserts and reintroduce old things into the rotation. Which is such a shame, because I really would love to see the Dobos Torte again. All in all, I'll continue to go to Pix because of my fondness for their desserts. The experience and ambiance of the restaurant as a whole, however, leaves something to be desired. I miss the quaintness and intimacy of their former locations! And admittedly, although both the former Division and Williams locations had some of the problems that exist in today's Burnside location (slow service being the obvious one), it was far less noticeable and more forgivable since both those locations operated at a much smaller scale. But with Pix's new schizophrenic concept of tapas-and-dessert and its cold, confusing space, these same flaws are highlighted and made ten times worse. If only there was an easy way to reconcile the messy concept and the terrible ambiance with the desserts that I love so much! My advice to the owners is to stop trying to do so much. 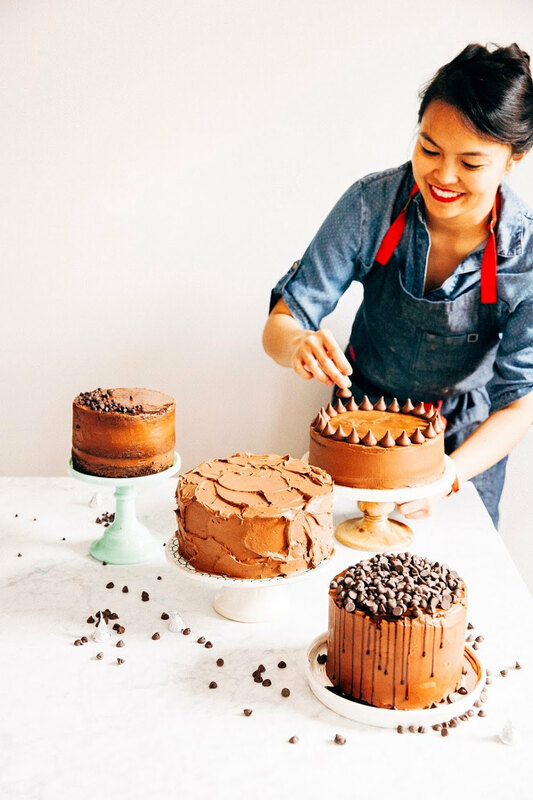 Just focus on what you're good at and go back to what everybody loved in the first place: the desserts. Check out Pix Patisserie's website to see their dessert menu, as well as their origin story and evolution in their own words. For other perspectives, be sure to read Pix's Yelp reviews. As they say, one man's trash is another man's treasure? Just stumbled across your blog- love your writing! I too wanted to love the new Pix but have found it very difficult to do so for all the reasons you listed. I'm sure I'll be back though... those desserts are just too hard to stay away from! Thanks for the honesty of your thoughts on Pix- I'm glad you decided to go ahead and post both positives and negatives. But you did make the space look not bad- and even more alluring are the photos of all those desserts! What an amazing job holding off from taking that first bite and also styling it right then and there! Interesting. I went to the Williams location and enjoyed myself... I haven't been to the mega Burnside spot yet. It sounds like maybe I could grab a dessert elsewhere...I'm more of an ice cream fan anyway. I completely agree with your review. I was completely confused as to how to order anything there and then I was expected to memorize my dessert choice while I waited for table service? Not to mention the 50 page alcohol menu (way to pretentious in my opinion). The whole experience was uncomfortable and sad since the desserts were so wonderful. It felt like they were trying to force the table service so a waitstaff could earn extra tips? I say make the entire place counterservice and order your drinks from the bar then have a seat and wait for delivery. I really hope they figure this out. I'll go back for take out but not to sit down.